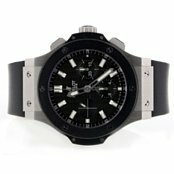 Welcome to Worthy, where you will get the most for your Bell & Ross watch with our unique online auction platform. Professional independent appraisals coupled with low overhead costs are part of the reason we can get you the best deal for your watch. The true secret lies in our innovative auction platform which determines the value of your watch through actual bids. What’s even better is that you do not have to accept the offer; there is absolutely no obligation. Worthy is the only place that allows you to get the actual market value when you sell your Bell & Ross watch. 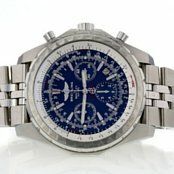 To get you the best possible price, we will facilitate and extensive watch appraisal and prepare your watch for auction. 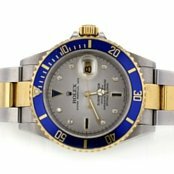 Because every luxury watch is unique, we are sure to match your Bell & Ross with the appraiser most qualified to evaluate it. The appraisal process at Worthy is quite different to traditional appraisals because we do not assign a value to your watch. The appraisers will also clean, photograph and create a description of your watch before putting it onto the auction platform. Once it is on the platform, real, knowledgeable buyers will bid on your watch. The value of your watch is determined by the highest bid placed on the watch. This means that the sale price of your watch is based on real market conditions and real offers from interested buyers. Worthy is accredited by the BBB and is certified and licensed by the NYC Department of Consumer Affairs. The appraisal experts at Worthy are also certified and have a wealth of experience in the luxury watch industry. 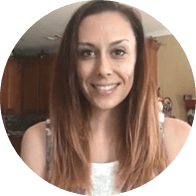 The entire process at Worthy is transparent so you will know exactly what is happening with your item. You can even log on to the auction platform to view the actual auction of your Bell & Ross watch. Provide us with basic information and an image of your watch. Based on your watch description, similar transactions and the input of interested buyers, we will provide you with a market value estimate. 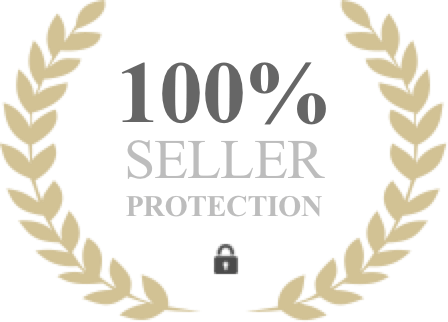 We provide you with a free shipping label to send your item to our secure facilities where an appraisal expert will prepare your item for auction. Your watch will be added to our auction platform as soon as possible and professional buyers will begin to place competitive bids on your watch. At the end of the auction, you will be presented with the highest bid offer. At this point you may choose to accept the offer. Upon accepting the offer, you get your money almost immediately. Bell & Ross was launched in 1992 and the first watches were created by Rosillo and Belamich which were made by Sinn, a German watchmaker. Watches like the BR instrument were designed to mimic the shake of an aircraft cockpit instrument. The BR02 was created for professional divers and rely on high-precision legible dials with cases that are water resistant and are able to withstand pressure up to 1,000 meters. Another watch in this collection is the Hydromax which uses hydraulic fluid in the case to contend with external pressure. The first watches created by Bell & Ross were essentially remakes of Sinn models, but with the Bell & Ross logo on them in addition to the Sinn logo. The partnership between Bell & Ross and Sinn ended in 2002 when Bell & Ross created its own watch production facilities located in La Chaus-de-Fonds, Switzerland. The design of Bell & Ross watches is based on the four design principles of the company. These include high accuracy using Swiss mechanical movements like ETA Valijoux, optimal water resistance, special functions for specific needs and clear indicators like those that are found on panels in aircraft. These watches also have a quartz line with similar characteristics except for the type of movement. Bell & Ross are known for their aviation-style watches that offer superior functionality in extreme environments. Not only have these watches been designed to perform in adverse environments but they also feature a sleek and functional design that is both visually pleasing and practical. The three watch collections that are available at Bell & Ross include the Vintage, Aviation and Marine categories. The Vintage Collection: This collection is a tribute to the wristwatches pilots wore in the 1920s. These watches feature wire lugs and a distinctive fob-watch style diameter complete with a leather strap that is strong and elegant. This model is the authentic military version of WWI watches and was inspired by aviator and observation watches. The Aviation Collection: Aeronautical instruments are the reference point for reliability and legibility for these watches. There are several models of Aviation watches available including the BR 01 Instrument watch which is no longer reserved for just pilots. Watch collectors everywhere can now enjoy this beautiful iconic watch. The Marine Collection: Several professional diving watches are featured in this collection. The BR 02 watch comes complete with a chronograph and it has also been designed to measure decompression times or several diving times. The crow, which can be screwed down as well as the decompression value is guaranteed to be water resistant up to a depth of 500 meters. These mechanically-inspired watches are unique and have taken much of their inspiration from the accuracy, reliability and legibility of aircraft and marine instrumentation. Now that all of these watches are available to watch collectors, they have become even more popular and are sought after by collectors all over the world. The crisp designs coupled with the incredible functionality of these watches truly makes Bell & Ross stand out from the competition. There is no watch quite like a Bell & Ross watch and you want to be sure that you get the best price for this truly unique watch. You can do precisely that when you sell your Bell & Ross watch at Worthy – there is no negotiation or long appraisal process, just a simple auction to get you the best price. Don’t delay - get started now!